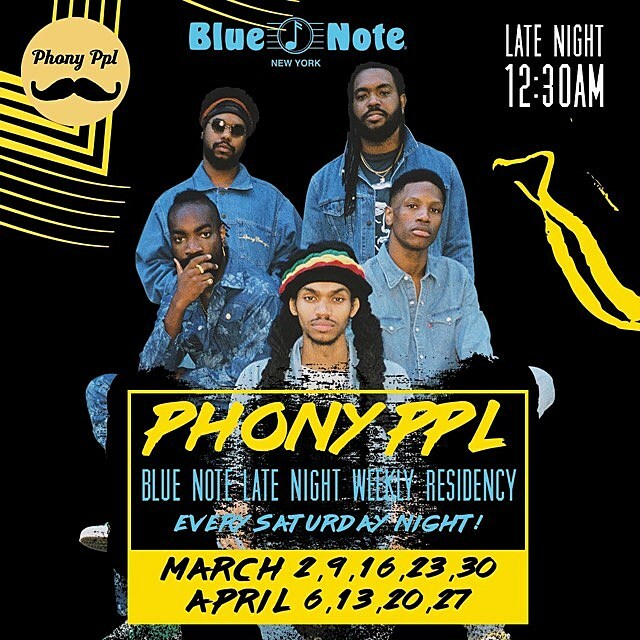 Genre-defying New York band Phony Ppl released their great new album mozaik and toured with Pusha T last year, and this past Saturday (3/2) they began a hometown residency at the Blue Note Jazz Club. They’re playing the 12:30 AM show every Saturday (so technically Sunday) in March and April, and this past Saturday’s show had a surprise appearance from trumpeter Keyon Harrold (who’s played on albums by Jay-Z, Beyonce, Maxwell, Big K.R.I.T., and more). Watch video of his appearance below. 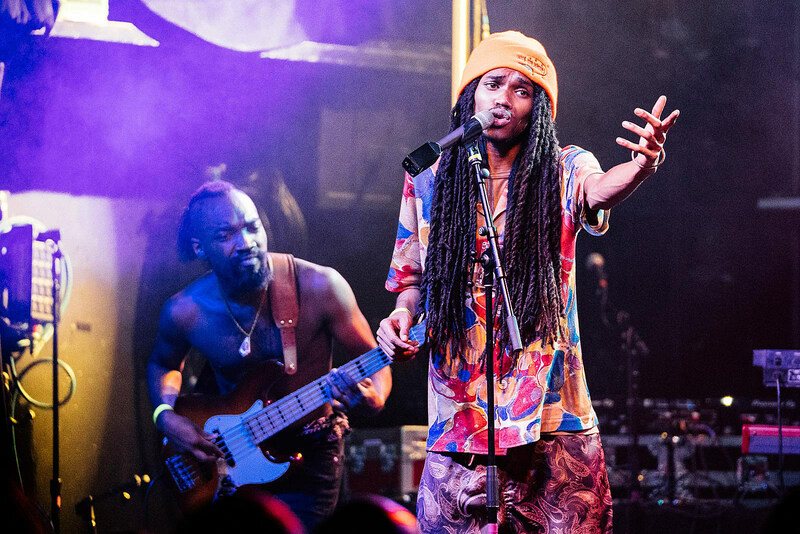 Tickets for the eight remaining shows in Phony Ppl’s residency are on sale now. Will other guests show up too? Phony Ppl also play the “Soundtrack of America” series at soon-to-open NYC multi-arts center The Shed, and they’re playing SXSW. They also just released an NPR Tiny Desk Concert, during which they played “Compromise,” “One Man Band,” “Cookie Crumble,” and “Why iii Love the Moon.” Watch that performance below. An epic moment last night when the LEGENDARY @keyonharrold joined forces with @phonyppl! Only at Blue Note Jazz Club, NYC!